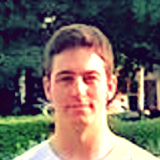 Marko Andrejić has been involved with Mozilla since 2013. He is from Belgrade, Serbia where he is currently a student at the ICT College of Vocational Studies. Before starting college he worked as a cook for the restaurant chain, Vapiano. In his spare time he reads books, collects vinyl records, and studies Asian (primarily Japanese) history and mythology. Marko is from Serbia in Europe. Hi Marko! How did you discover the Web? Access to the Internet started to spread in my country in 2007. I asked my parents to get a connection so that I could explore the Web and learn about game development, an area that I was interested in at that time. I’ve been using Firefox ever since I got an Internet connection, but I heard the name ‘Mozilla’ afterwards; I initially thought that ‘Firefox’ was the name of the whole organization. When I first heard about a Firefox OS phone, I told myself that I must get one. So in December 2013 it finally came out and I bought an Alcatel One Touch Fire. Then I stumbled across the Mozilla Serbia community group on Facebook. Community members asked me if I want to help them with Firefox OS promotion and I accepted. After promotional work they needed help with localization so I accepted, as I had a lot of free time and again, I really wanted to help them. 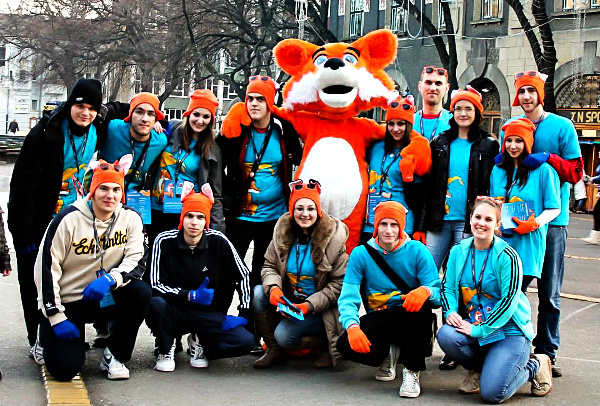 Mozilla Serbia community at the launch of Firefox OS in December 2013. From September 2014 to October 2015 I was a member of the Firefox Marketplace app curation board. My task was to find, test and nominate apps to be featured on the Firefox Marketplace. Each month we had a different category of apps to curate. In May 2015 I attended the Mozilla Balkans Community Meetup in Romania. At the event we discussed the status of the different communities that attended, how we can improve them, get new members, and if we could help each other to organize events or finish projects. Later we divided into three teams — L10n, SUMO and QA. I learned about Mozilla QA, BuddyUp and other projects. 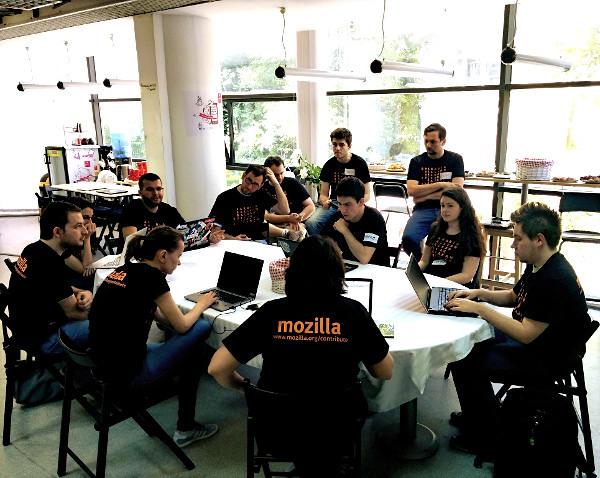 A session at the Mozilla Balkans Community Meetup in May 2015 at Romania. In October 2015 I attended the L10n-QA joint Hackathon in Paris. I learned about Firefox OS QA — how to file a bug and write a test case, which was the most important part for me. We also learned how to flash phones and check build versions. We had many discussions how can we help more on testing Firefox OS. 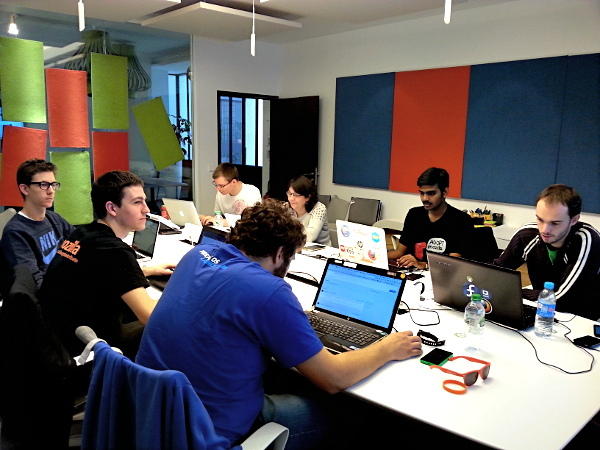 A QA session at the Mozilla joint L10n-QA Hackathon in October 2015 at Paris. In the Mozilla Serbia community community I work on Verbatim projects. I am the QA Team lead for localization of Firefox products. I am also the comunity social media manager. I like sharing news and information about Mozilla Serbia and Mozilla in general on the community’s Twitter and Facebook accounts. I’ve recently started translating articles on SUMO into Serbian as we don’t have people to work on it. I mostly focus on articles about privacy as it is something that I believe everyone should have. The translation will also be useful for future speaking events. I’m proud of my participation in testing BuddyUp. I learned about the BuddyUp project at the Mozilla Balkans Community Meetup in Romania; Marcia Knous introduced us to the whole project. Maybe I wasn’t a big help with testing as I was new to it, but I really enjoyed working on it. I met some great people during testing and I learned a lot of new stuff about the QA process. At the joint L10n-QA Paris Hackathon that followed in October 2015, I helped with a last round of testing BuddyUp before release. You belong to the Mozilla Serbia community. Please tell us more about your community. Is there anything you find particularly interesting or special about it? The Mozilla Serbia community is a small one. Our community was much bigger when I initially joined in December 2013. Over time we’ve had new members but they don’t stay for long. So right now we are a small community that is still trying to spread the word about Mozilla somehow. Most of our community members are employees and students plus we are not all from same town, so it is hard for us to organize events. But we still communicate and work together, mostly on localization and QA. I have some plans with another QA member for speaking events about online privacy and security that start in April 2016. So I hope we will get new members, or if not, people will at least hear about us and Mozilla’s mission. 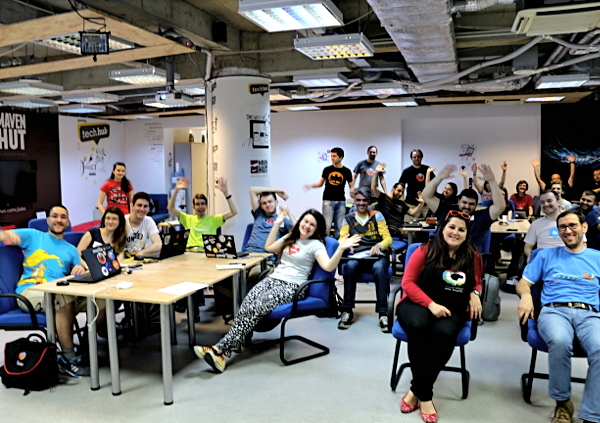 Members of the Serbian community at the Mozilla Balkans Community Meetup in May 2015 at Romania. 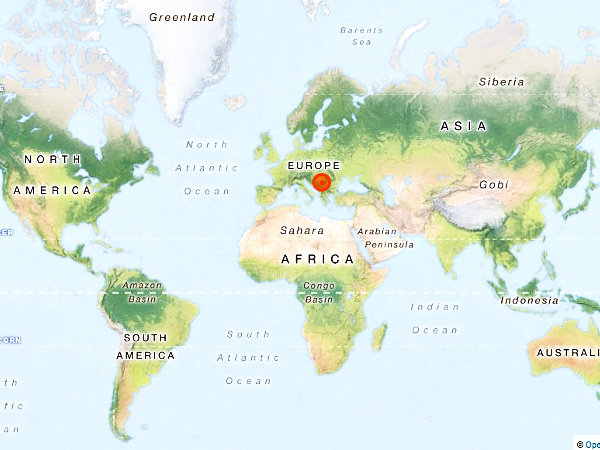 That would be the trip to Romania for the Mozilla Balkans Community Meetup in 2015. I was there with Vanja Tumbas and Aleksandra Uzelac. I was happy to meet them again. We really enjoyed our time with all the new people we met, learning about new opportunities and other communities. 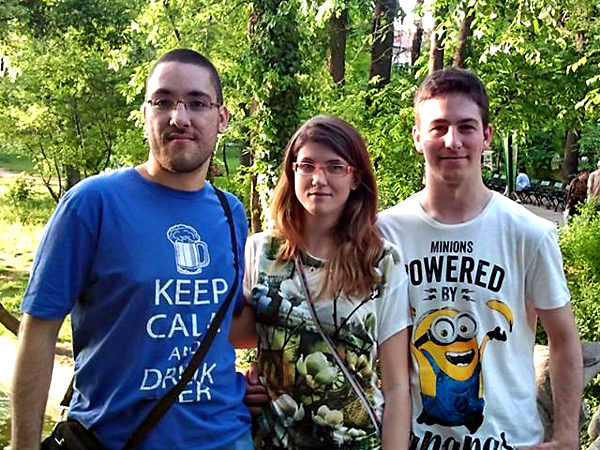 (from left to right) Vanja Tumbas, Aleksandra Uzelac and Marko Andrejić at the Mozilla Balkans Community Meetup in May 2015 at Romania. You use the Firefox OS phone in your day-to-day life. Can you describe what you like best about it? My Firefox OS phone is very easy to use. People tend to complain because it doesn’t have apps like WhatsApp or Viber. On the other hand, it gives you full control over your data and privacy. You can design the phone the way you want; with little programming skills, you can do almost anything. That is what I like the most about my Firefox OS phone — full control and privacy. What are some of your favorite apps on the Firefox OS Marketplace? Which apps do you want to see on the Marketplace? My favorite apps are Torch, Croma and Shanghai Mahjong. The apps that I would like to see on Marketplace would be WhatsApp because I use it to communicate with friends and a new music player as I am not pleased with default one; it has no option to play from folders. “Don’t give up.” A lot of new members quit after a couple of days or weeks. Most of them expect some reward, but it’s not just about that. It’s about community, meeting new people and seeing a bigger picture in all of that. So my advice would be to just join and enjoy. Find out what your “thing” is and time will do the rest (with a little help from your side). I hope there will be more interesting projects to participate in. One day I hope I will have a project of my own. The Mozilla QA and Marketplace teams would like to thank Marko Andrejić for his contributions over the past 2 years. Congrats Marko! Thank you for your contributions.